It’s important to us to actively work to protect the earth and its resources by encouraging and maintaining environmentally sustainable choices. We are an accredited Green Sanctuary. Read more about our Green Sanctuary Committee to get involved! We partner with local organizations to reach marginalized communities who are hit first and hardest by environmental crisis. 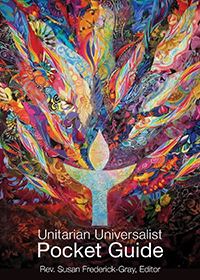 UU Ministry for Earth inspires us with their resources and calls to action. You can also subscribe to our newsletter and join our Facebook page to keep up with green action events!